LifeCall is pleased to announce its new Affinity Program, providing healthcare providers with an income-generating resource for developing and maintaining their customer base. Now enhance relationships with your existing customers by helping them remain safe and live independently in their homes. The Affinity Program does not require any financial investment, and is completely administered by LifeCall. Merchandising, customer enrollment, shipping, handling, and billing are all managed by us. Revenue sharing begins when your customer subscribes to our monthly monitoring service, and is paid to you every 30 days for the duration of the program. The Affinity Partnership Program is an excellent vehicle for building loyalty, retaining customers seeking medical alert services, and attracting new prospects. Provide customers with a Personal Emergency Response System that connects to a certified Emergency Medical Technician – not just an operator – trained to manage medical emergencies. Enhance relationships with existing customers by helping them remain safe and live independently in their homes. Generate monthly revenue without any financial investment. Customized brochures with your name. No setup or upfront fees. No long-term contracts to sign. 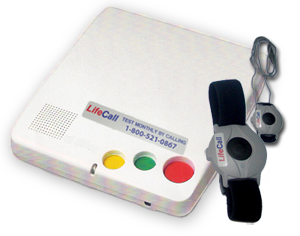 Fulfillment, shipping and handling, and billing all administered by LifeCall. To learn more about the program and to enroll, click HERE. Download the LifeCall Affinity Program BROCHURE.